Actinogen Medical (ASX:ACW) is an ASX-listed biotechnology company developing innovative treatments for Alzheimer’s disease and the cognitive impairment associated with neurological diseases and metabolic diseases. The Actinogen Medical management team and clinical and scientific advisory boards have extensive global clinical and drug development experience; including world-renowned Alzheimer’s disease and dementia clinicians and researchers, and industry specialists in drug development, clinical trial management, biotechnology investment and business development. The company is supported by leading global and Australian institutional investors, including Biotechnology Value Fund LP (USA), Australian Ethical and Platinum Asset Management. Actinogen Medical’s lead drug candidate XanamemTM has been specifically designed to reduce production of excess cortisol in the brain. Chronically raised cortisol is a key risk factor for Alzheimer’s disease, and the association between raised cortisol in the brain and cognitive decline has been well documented in the scientific literature. Drugs that reduce cortisol in the brain offer a promising new approach to slowing, or even preventing, the cognitive decline associated with Alzheimer’s disease and a range of other neurological disorders associated with cognitive impairment. Actinogen Medical has completed enrolment into XanADu; a Phase II double-blind, 12-week, randomised, placebo-controlled clinical study to assess the safety, tolerability and efficacy of 10mg once daily of Xanamem in subjects with mild dementia due to Alzheimer’s disease. Actinogen Medical expects to announce the XanADu results in Q2 CY19. Actinogen Medical has strong relationships with the global Alzheimer’s disease community and is engaging with prospective biopharmaceutical partners through proactive business development and attendance at global partnering and clinical meetings. 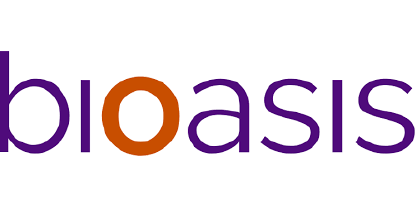 ANT01, a Phase IIa proprietary small molecule in the Prevention of Alzheimer Disease in well defined patients, is oriented to prevent in the US only at least 100.000 new AD cases per year by treatment of 1M patients life time. After 5 years of planned launch in 2030 and with a peak sales of 10B, this will save US healthcare costs by at least 50B giving ANT01 a very attractive value proposition. Up till date, via clinical case studies, we were able to demonstrate that short term intervention with ANT01 led to a clinical relevant diminishment of the identified clinical risk factors for the development of Alzheimer Disease. ATENTIV is a commercial stage Neuro-Development company with a clinically validated platform of products and telehealth services for the durable remediation of childhood cognitive disorders without medication – beginning with ADHD followed by pre-MCI (Early Alzheimer’s). It’s proprietary platform of digital therapeutics activate the “rewiring” of the brain’s attention circuitry to rapidly learn and improve targeted cognitive skills that were developmentally delayed during childhood or have become impaired. Our therapeutics lead to durable and significant improvements in academic performance, home behavior and life success, while reversing the negative symptoms of ADHD. Atentiv plans to extend its therapeutic platform to other cognitive dysfunctions such as pre-MCI, Autism, Anxiety, Depression, PTSD and TBI. In eight rigorous clinical studies, relative to the $2.2B leader in the $10.2B ADHD stimulant market, ATENTIVmynd™ Games have demonstrated comparable efficacy yet significant superiority in sustainability and speed of action with no negative risks of side effects, stigma or abuse. Most importantly, students experienced sustained grade improvements in math fluency and reading comprehension and 30-40% improvement in test accuracy and homework completion. Training is home administered and remotely managed by professionals, in approximately twenty-four 20 minute sessions/day, in 3-5 sessions/week, spanning 5-8 weeks for a total of 8 hours. Large Healthcare Network Providers faced with value-based payment contracts are now developing broad system-wide integration plans for ATENTIVmynd across tens to hundreds of thousands of patients. In November 2018, Atentiv announced its first Co-development and Supply Agreement with Children’s Specialty Hospital of the RWJ/Barnabas Health System for product launch in Q4 2019. It is expected that aligned parties (payers, employers, pharma and technology cos) will also join this collaboration. Atentiv’s leadership team has significant transformational success and deep commercial and medical domain experience. AZTherapies, Inc. is a privately held advanced clinical stage pharmaceutical company developing breakthrough treatments for multiple neurodegeneration and neuroinflammation-related CNS diseases, including Alzheimer’s (AD), ischemic stroke and ALS. Built around a broad IP portfolio exclusively licensed from Harvard Medical School and Massachusetts General Hospital, AZTherapies’ initial product (ALZT-OP1) is a novel multi-action combination drug regimen to modify disease progression by slowing down or halting Alzheimer’s disease early in its development. ALZT-OP1 addresses four mechanisms of action by treating the mechanisms associated with neural inflammation that triggers nerve death and progressive brain damage, and inhibiting amyloid-beta (Αβ) protein oligomerization and polymerization to aggregates that intoxicate neurons and interfere in their signaling as well as allowing the Αβ peptides to be removed from brain. The ALZT-OP1 program is currently enrolling patients in a Phase III study under a Special Protocol Assessment with the FDA. The Company’s second clinical stage product candidate (ALZT-PSCI) is an adjuvant treatment for post ischemic stroke cognitive impairment, or PSCI. Acting to both inhibit mast cells that release cytokines and toxins, and to activate the M2 phagocytic state of microglia cells that absorb toxins, AZLT-PSCI aims to treat neuroinflammation that exacerbates areas of brain injury post-stroke. The Company’s IND for ALZT-PSCI has been accepted by the FDA, with planned enrollment of a 500 patient Phase II pivotal clinical trial across North America and Israel, which is planned for 2Q 2019. The Company’s second-generation AD therapy (ALZT-OP2) has been through IND enabling NGI, toxicity and interaction testing and analysis. ALZT-OP2 is a novel modified combination drug, dosed as a single inhaled capsule aimed at improving patient treatment compliance, and simplifying production and distribution. We expect ALZT-OP2 to be ready for human clinical trials in 1H of 2019. Bioasis Technologies Inc. is a biopharmaceutical company developing the xB³™ platform, a proprietary technology for the delivery of therapeutics across the blood-brain barrier (BBB) and the treatment of CNS disorders in areas of high unmet medical need, including brain cancers and neurodegenerative diseases. The delivery of therapeutics across the BBB represents the final frontier in treating neurological disorders. The in-house development programs at Bioasis are designed to develop symptomatic and disease-modifying treatments for brain-related diseases and disorders. The xB³ platform technology is a non-invasive, multi-modal solution to the problem of transporting complex therapeutic molecules across the BBB. The xB³ platform has advantages over other BBB technologies in terms of payload flexibility and efficiency of delivery. 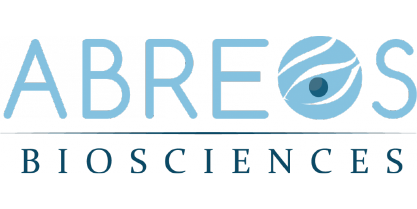 The Company is also actively pursuing licensing and business development opportunities for the advancement of external neuroscience and oncology programs. BlackThorn Therapeutics is a privately-held, clinical-stage biopharmaceutical company based in San Francisco. Our drug discovery and development approach builds upon recent advances and insights we have generated in understanding neurobehavioral disorders through a circuit-based approach vs. the historical categorical approach. By viewing neurobehavioral disorders in this new construct, we believe we can more successfully advance targeted therapeutics. We have a deep pipeline of best-in-class and first-in-class molecules targeting key neurobehavioral health needs. BrainScope is revolutionizing the rapid and objective assessment of brain-related conditions, starting with concussion and mild traumatic brain injury (mTBI). BrainScope’s technology platform integrates databases of thousands of brainwave recordings with AI technology, multiple assessment capabilities, digitized miniaturized hardware and disposable sensors, all covered by an intellectual property portfolio of >100 issued and pending patents globally. BrainScope has received five FDA clearances and ISO 13485 Certification, and has 25 peer-reviewed publications on its technology. The Company’s first product, BrainScope One (cleared as Ahead 300), incorporates a multi-modal panel of non-invasive capabilities including EEG technology, and is the only FDA-cleared medical device that empowers clinicians to rapidly and objectively assess the full spectrum of concussion and mTBI at the point of care. BrainScope One is currently being used in practice by the U.S. military, ERs, urgent care and occupational health clinics, concussion clinics, universities, professional sports, and in pharmaceutical clinical trials. At CV Sciences, our mission to improve well-being underscores our values, operations, and products. CV Sciences operates two distinct divisions: pharmaceuticals and consumer products. These divisions are supported by our medical and scientific advisors and state-of-the art production facilities. CV Sciences’ Pharmaceutical Division is developing synthetically-formulated cannabidiol-based medicine, pursuing the approval of the U.S. Food and Drug Administration (FDA) for drugs with specific indications utilizing cannabidiol as the active pharmaceutical ingredient. 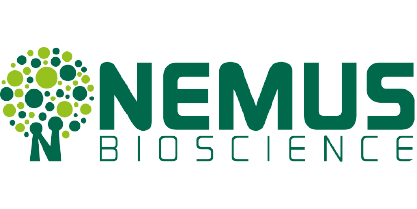 Demiurge is an AI-driven aetiology-first CNS drug discovery and development company in Switzerland with US$11MM raised since 2016. Demiurge’s business model is to build new companies (NewCos) with wordwide top-tier venture, management and scientific co-founders for each disease-specific aetiology and associated first-in-class pipelines discovered at Demiurge. Demiurge is now building the first NewCo with AI-discovered aetiology of Alzheimer’s Disease, there will be 2 more NewCos built with novel aetiologies of Parkinson’s Disease and FTD/ALS in 2020. In 2016, Dr. Jacqueline French of NYU Langone Comprehensive Epilepsy Center told Greg Mayes about Staccato Alprazolam, an easy-to-use, hand-held inhaler in a phase 2a clinical trial with the potential to be the first rescue treatment of its kind that could terminate the current seizure. A seasoned pharmaceutical executive with decades of experience in the industry, Greg realized that he had the background and know-how it took to make Staccato Alprazolam a reality for the epilepsy community. Working with leading epileptologists, neurologists, and healthcare executives, Greg founded Engage Therapeutics with the goal of successfully completing the phase 2b clinical trial required for FDA approval and ultimately bringing the epilepsy community its first viable rescue treatment to terminate a seizure. KalGene is developing a unique therapy intended to treat patients suffering from Alzheimer’s disease (AD), which is a progressive and non-reversible neurodegenerative disorder. KalGene’s product is designed to slow or halt progression of this devastating disorder, absent the side effect profile of the leading potential therapies in the pipeline. 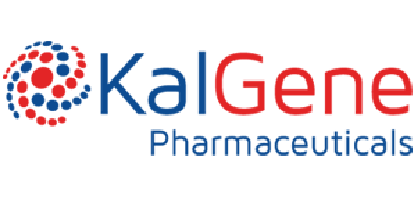 KalGene has advanced into preclinical development a molecule designed to address both limitations cited above by in-licensing two technologies from the NRC. The first is utilization of a naturally occurring peptide which disrupts the oligomerization of the amyloid peptide, reducing it to a monomeric, non-toxic form. This approach avoids direct activation of the immune system which antibody-based therapies have encountered, resulting in frequent adverse events and significant reduction of the therapeutic window. The second advance is the incorporation into the molecule of a binding domain that targets a receptor on the blood-brain barrier, which facilitates rapid transport into the brain. Such approaches have been shown to increase by over 10-fold the amount of drug being delivered to the brain. There are no other companies developing a disease-modifying biologic to treat Alzheimer’s disease that is actively transported from blood to the brain. In addition, KalGene’s product is designed to overcome the safely issues with the antibodies currently in development. M3 Biotechnology (M3) is a clinical-stage therapeutics company with a platform of regenerative small molecule therapeutics with the potential to permanently alter the course of disease. M3’s novel assets employ a completely different mechanism of action than current investigational and approved approaches by acting on a neurotrophic factor of a highly conserved mechanism of action. In addition to Alzheimer’s, the core technology and lead candidate has the potential to impact neurodegenerative therapies broadly, including Parkinson’s. Unlike drugs on the market for Alzheimer’s and Parkinson’s which offer only symptomatic relief, M3’s lead candidate offers the potential to slow or halt degeneration and potentially restore lost function. From 2014 to 2017 the company had a collaboration with Roche relating to our lead oncology program and received +$23M. This asset is now being developed by Oryzon. The company has also obtained competitive US and European grants in the amount of €8M to support the development of Vafidemstat (ORY-2001) since the start of our CNS research. Pax Neuroscience focuses on the neurobiology of depression and antidepressant action to deliver a family of products designed to facilitate depression diagnosis, tailor depression therapeutics, aid Pharma in designing new antidepressants and develop conceptually novel drugs for depression. Pax is committed to transforming the standard of care for depression. Depression is the leading cause of disability, worldwide, affecting one in six of us at some point in our lifetime. In the US alone, total annual costs of depression are estimated at more than $200B. Depression diagnosis, often done by primary care physicians, who treat about 80% of depression, is subjective and often inaccurate. One third of those with depression do not seek treatment and most antidepressants require 2 months to achieve clinical efficacy, making trial and error drug selection the norm. One third of those with depression do not respond to any drug, increasing their risk for suicide. Pharmaleads’ DENKIs are first-in-class drugs with a novel mechanism of action tackling pain by using endogenous enkephalins, natural peptides that specifically bind to pain-related opioid receptors to naturally modulate pain without the side effects observed with exogenous opioid drugs that also bind to other opioid receptors, not involved in pain control and thus triggering multiple side effects. 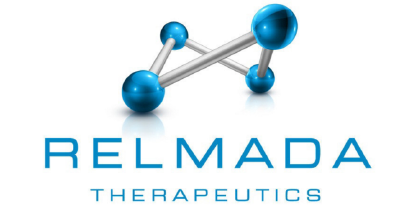 Relmada Therapeutics is a clinical-stage, publicly traded biotechnology company developing novel medicines for areas of high unmet medical need in the treatment of central nervous system (CNS) diseases. 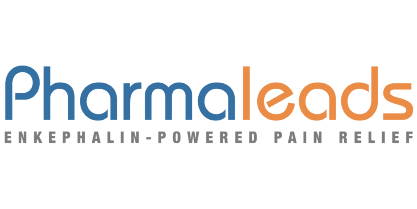 Relmada lead program, dextromethadone (REL-1017), is an orally administered N-methyl-D-aspartate receptor (NMDAR) antagonist, which is currently tested as a treatment for depression in a Phase 2 study. REL-1017 is active on the NMDAR ketamine binding site and has demonstrated an overall favorable safety profile without ketamine psychotomimetic adverse reactions in two Phase 1 studies. In preclinical studies, REL-1017 showed antidepressant efficacy and effects on neuronal activity similar to that of ketamine. The U.S. Food and Drug Administration granted Fast Track designation for dextromethadone for the adjunctive treatment of MDD. Serina Thearpeutics has developed a proprietary, clinical-stage polymer therapeutics technology based upon poly(2-oxazoline) – POZ. We have a pipeline of small molecule polymer conjugates that are being developed for Parkinson’s disease (PD), pain, epilepsy and oncology. At this meeting you will hear about SER-214, a polymer conjugate of rotigotine that has completed Phase Ia in PD. SER-214 provides continuous drug delivery following a single weekly SC injection. In addition, we will present preliminary data on the development of SER-240/241, a polymer conjugate of apomorphine that provides continuous drug delivery of apomorphine following a single SC injection. Unlike current formulations of apomorphine, which result in inflammatory skin reactions and nodule formation – SER-240/241 does not promote any skin reactions when administered as a SC injection. SER-214 is being developed for early PD, and SER-240/241 is being developed for advanced PD. STALICLA is an autism spectrum disorder (ASD) focused, data guided, drug development biotech company incorporated in May 2017. Through an innovative systems biology-based platform (DEPI) STALICLA has been able to identify non-behavioral subgroups of patients with idiopathic ASD and corresponding first-in class treatment candidates, thus pioneering personalized medicines for ASD. May 2018, official launch of STALICLA’s clinical development program with worldwide leading CRO, PPD. September 2018, positive EPO Search Report with “intention to grant” for STP1 COM patent. Operating parallel EU - US and international filling strategy. October-November 2018, Incorporation of STALICLA’s Computational Systems Biology physical HPC unit in Barcelona, Spain – incl. 4 FTE computational biology data scientists. November 2018, first results supporting efficacy of STP1 on metabolomic profile of ASD Ph1 patients. T3D Therapeutics, Inc. was founded in 2013 to challenge the prevailing thinking over the last two decades in the development of solutions to effectively treat Alzheimer’s disease. Our mission is to develop a ground-breaking, disease-modifying, new drug for the treatment of Alzheimer’s disease (AD). Additionally, T3D Therapeutics is targeting treatments for other neurodegenerative diseases with an emphasis on Huntington’s Disease (HD). Fundamental to our approach to AD is the recognition that Alzheimer’s disease is a neuro-metabolic disease characterized by insulin resistance. As such, we must first address poor glucose energy metabolism and dysfunctional lipid metabolism in the brain which leads to neurodegeneration as evidenced by plaques, tangles and inflammation. The brain is the most metabolically active organ in the body and it relies on glucose for ‘fuel’. If the brain loses its ability to efficiently process glucose into energy and maintain lipid homeostasis, the brain becomes ‘starved’. This ‘starvation’ causes a wasting process that then leads to cognitive and motor function deficits – this is Alzheimer’s disease. Tonix is a research and development company that is focused on identifying promising new product candidates and advancing them through clinical development toward regulatory approval. the reduction of opioid dependence. Vitality has developed a proprietary new class of cannabinoid prodrugs named cannabosides, including VBX-100, a THC prodrug, which avoids psychoactivity through targeted GI delivery. Independent clinical results suggest that cannabinoids will help induce remission in Crohn’s disease, and that the vast majority of inflammatory bowel disease (IBD)patients experience symptomatic relief, including 84% of patients who report improvement in visceral or pain.